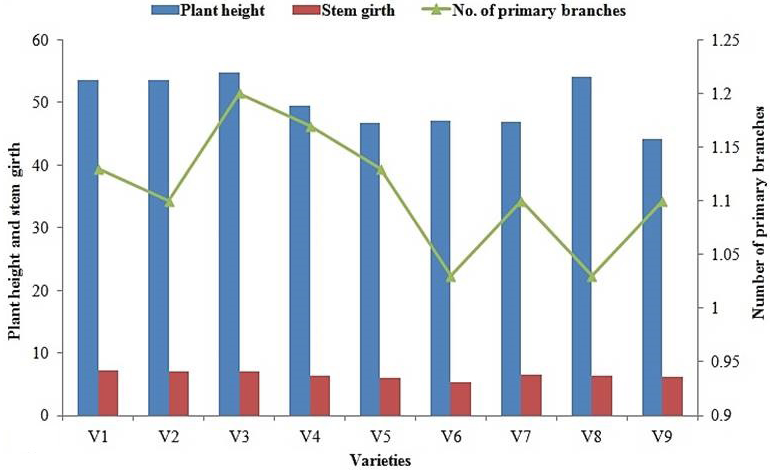 Plant height, stem girth and number of primary branches of selected okra varieties. 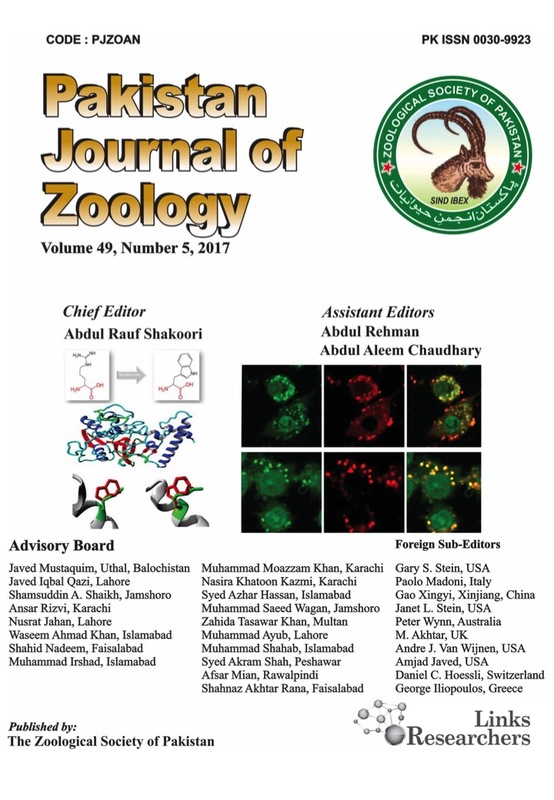 V1, Arka Anamika; V2, Bhindi Punjab Selection; V3, Bhindi Sabazpari; V4, Rama Krishna; V5, NS-810; V6, Baharti Kaspori; V7, RK-516; V8, OH-152; V9, Tarnab Nargis. LSD for Plant height = 1.77, Stem girth = 0.11 and No. 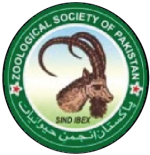 of primary branches = 0.09. 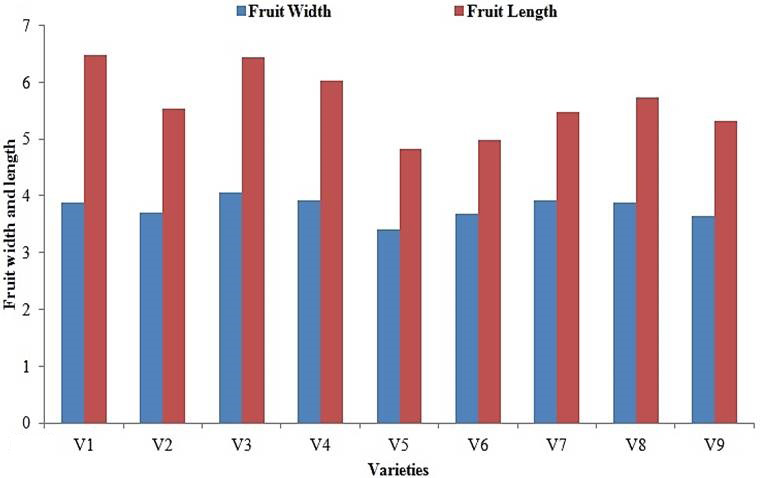 Fruit width and length of selected okra varieties. LSD for Fruit width = 0.17 and Fruit length = 0.36. For abbreviations, see Figure 1. 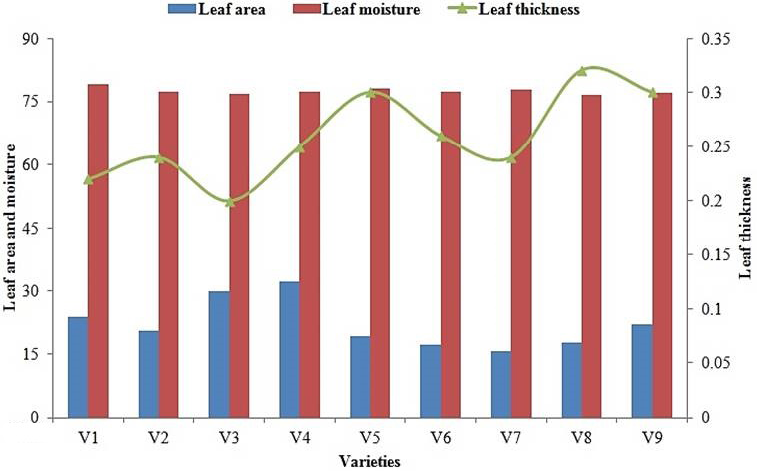 Leaf area, moisture and thickness of selected okra varieties. LSD for Leaf area = 3.23, leaf moisture = 0.45 and Leaf thickness = 0.01. For abbreviations, see Figure 1.